Corel software is the ultimate tool for graphic design students looking to improve their design skills. Student edition Corel software available from Software4Students with student discounts. 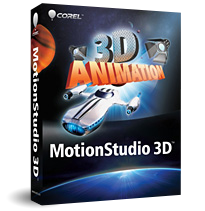 Corel provide easy-to-use graphic design software for students interested in design and graphics. Graphic design software for beginners, hobbyists and students. Create logos, newsletters, photo projects or social media content. Corel® AfterShot™ for RAW photo-editing and management. Install up to 3 copies per household (not for commercial use). Boost your productivity with Corel PDF Fusion, an all-in-one PDF creator that lets you assemble, edit and create PDFs. Corel PDF Fusion from Corel Software. Open more than 100 different file types just by dragging and dropping them onto the Welcome Screen. Take pages from multiple files, including documents, spreadsheets and presentations, and combine them into a single PDF to share with anyone. Add new text, bookmarks and comments. Plus, convert files to PDF, PDF/A, XPS and DOC formats with just a click. Digital art & painting software trusted by professional artists.Expand your artistic capabilities using a phenomenal collection of the world’s most realistic digital Natural-Media®. Accomplish natural, professional results with Painter® 2018 that will have people asking – Is it real paint or is it Painter?